I was perusing Pinterest, as I’m apt to do when I find myself in need of a daydream, and I found myself browsing birthdays! I was furiously clicking from page to page, idea to idea. I could feel my brain light up: decor, baked goodies, pink favors, and on and on. YES! All of that brain busting… for a book!!! OK, so I may be losing it a bit, but I harken back to those months nearly 2 years ago when I cried for lack of clarity in my message; I despaired at moments of writer’s block; I laughed in hysteria (truly, hysteria – I’m not even overstating it) as I shouted for God to HELP ME create a tool that would best serve friends like you. I’ll be golly if God didn’t answer me right back! He dragged the words out of me sentence by excruciating sentence until I wept, this time with joy, for his grace and divine presence on my heart. You’ve been there, I’m sure. Perhaps not in a book-writing capacity, but certainly Jesus has answered your call, when you needed it. How you needed it. In the time you needed it. And so you know that, when you make it to the “other side” of the mountain, the air is sweet with wonder and thankfulness. So continue to join me as we celebrate a “Pretty In Pink Party” throughout the month of March. Here’s how you can join AND receive a FREE GIFT!!!! Week Two (This Friday 3/11): One pair of cute Spring boots just in time for April Showers! 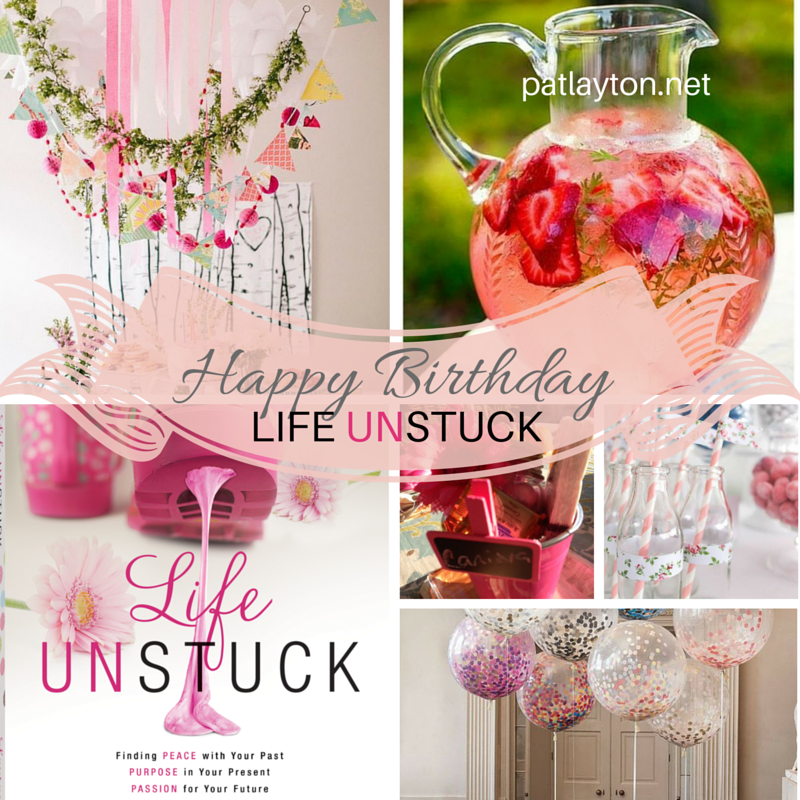 Week Three: A Life Unstuck Gift box filled with goodies and fun! Week Four: A FREE product of your choice from my online store! *****First–Please, if you haven’t already–Buy a book and let me know! Send me a copy of your Amazon or other Retailer receipt (either via my email patlayton@mac.com or in the comments section below). *****Third–Share the book with YOUR FRIENDS on Social Media! Use the hashtag #lifeunstuck or post a picture of Life Unstuck (simply copy/paste the picture below) on your social media platforms: Facebook, Instagram, Twitter, Pinterest, Blog sites. I can’t wait to GIVE AWAY MORE GIFTS!!! Previous Post: « 24 Words That Will Change Your Life!